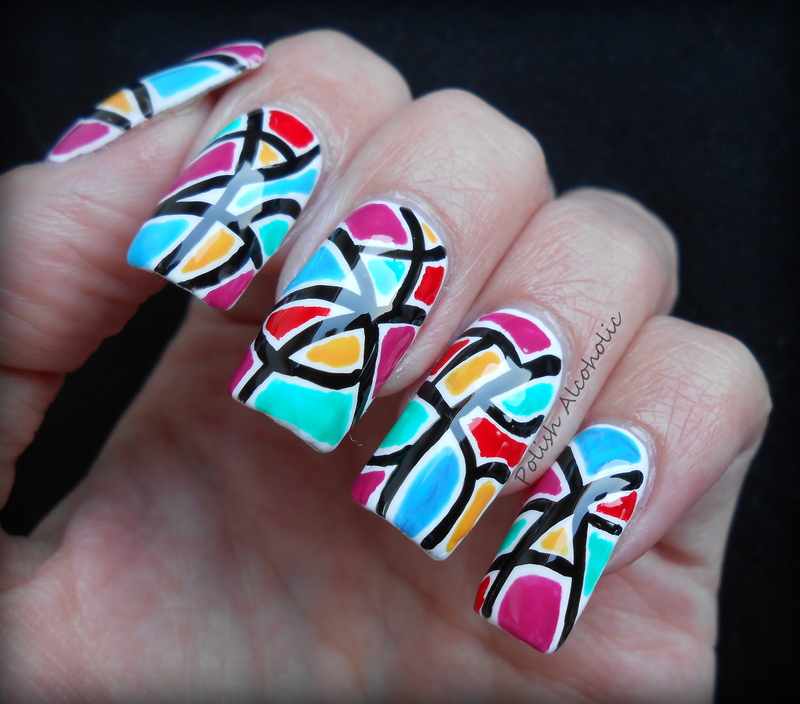 This entry was posted in Nail Art and tagged geometric, mosaic nail art, mosaic nails, nail art, nailart by Polish Alcoholic. Bookmark the permalink. I love it! 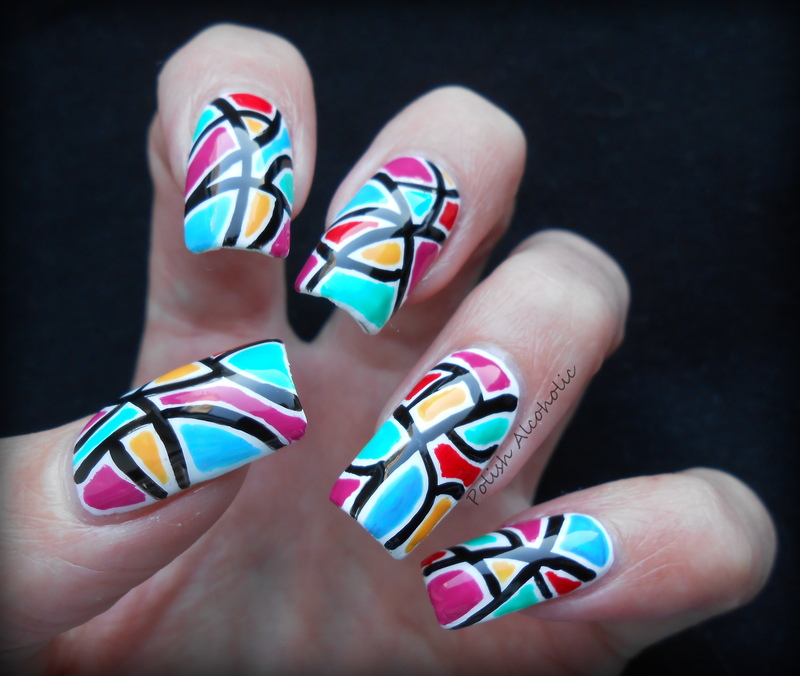 Looks like a stained glass window. You’re quite the artist, my friend. Tell me more about this Seche Vite you like so much. Is that some sort of special top coat?